Electronic Cigarettes Do they work?? So Far So good. I’ve been a pack a day smoker for 20 years. I’ve tried patches and even the store bought E-cigs from major retailers like Walmart places like that. 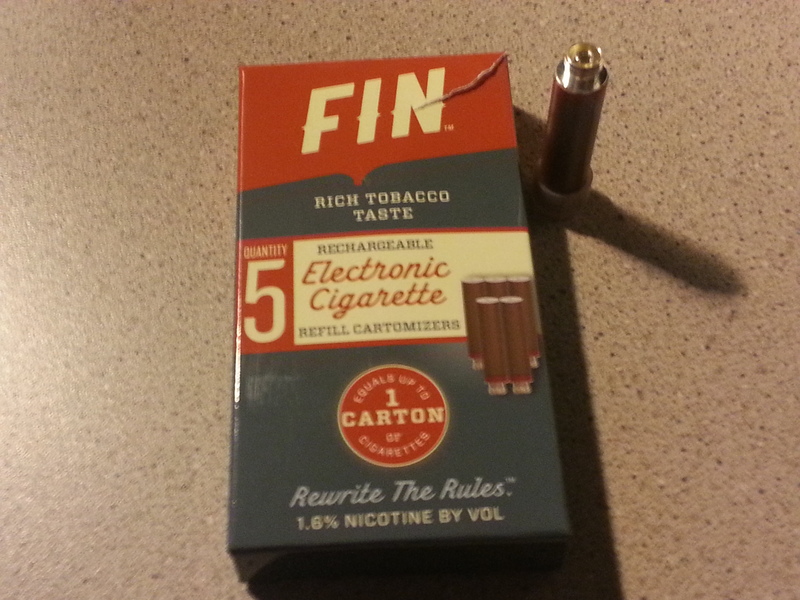 I purchased the Blu-E-cig type called FIN they have a total of 1.6% Nicotine which is useless for a pack a day smoker or more. Plus the flavors i’m sorry even the ones we like tobacco flavors are always not quite toboacco. After a week of smoking the tobacco flavors I was like there is no point in this I want to quit tobacco why would I want to taste it too? Back to the point this E-cig lasted all of half an hour I was back to smoking that quick. 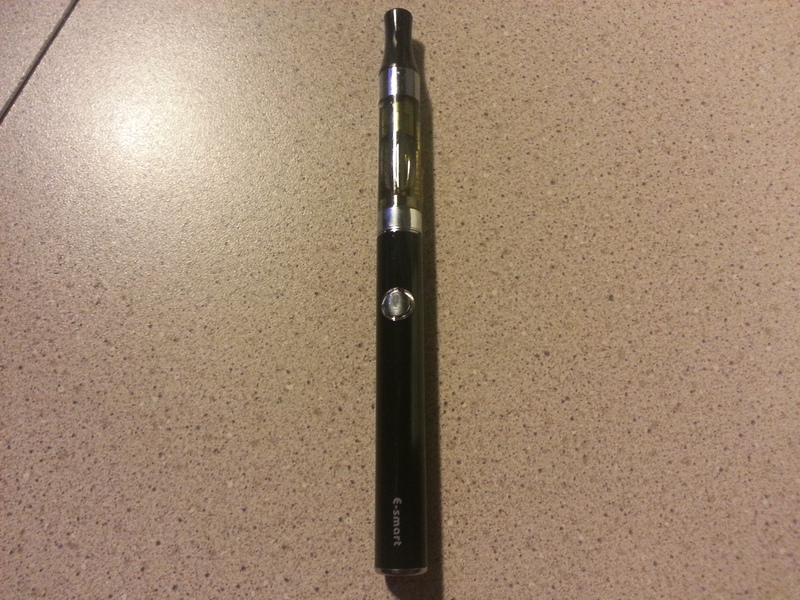 Here is a picture of the cartridge based E-Cigs we bought. Back in August or so my friend came over and he also tried all those cartridge based E-cigs none worked for him either. He was a 2-3 pack a day smoker. This time he bought a new E-cig at first I was like no way i’m buying that thing it’s big wouldn’t want to carry it around and chances are it won’t work. 2 weeks later he comes by and he’s still not smoking that E-cig is working! I was sold if a 2-3 pack a day smoker could stop using that E-cig it’s going to work for a pack a day smoker. And I didn’t care if it was a bit bigger than I liked if I could stop smoking it’s worth it. My wife & I went ahead and purchased the same E-cig the Kangertech EVOD cost us $70 for the starter kit included 2 -E-cigs ,1-charger,5- cartomizers & a 30ml bottle of E-liquid which lasts 2 people about 2 weeks. Some get more than that out of a 30ml bottle depends on your smoking habit. A 30ml bottle costs $15 we figure that 2 bottles a month @ $30. Compared to $240 a month we were spending on cigarettes that’s BIG savings. I’m not going to get into health benefits because that’s a whole different ball game. Point is no one really knows the damage E-liquids may cause in years to come. NO E-cigs are FDA approved. So don’t listen to the BS that smoking a E-Cig is better for you. No one truly knows that. Is it better than all the tar you get from a cigarette? the answer is yes. 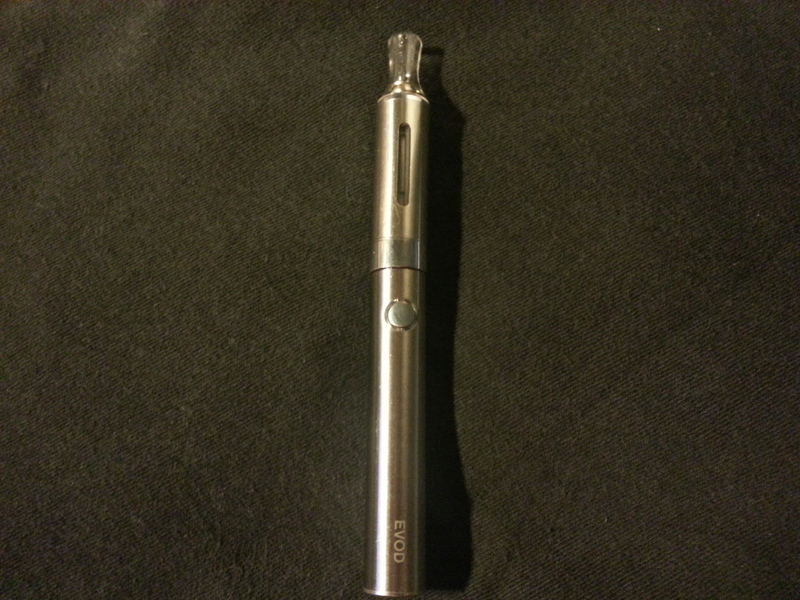 Here is what the EVOD looks like. All these E-Cigarettes are refillable which means you can change out flavors when ever you want to. The EVOD requires the cartomizer to be changed out about every week. They seem to last about a week for me. The cartomizers cost anywhere from $1-$3 a piece. Shops sell them in packs usually 5 or more. 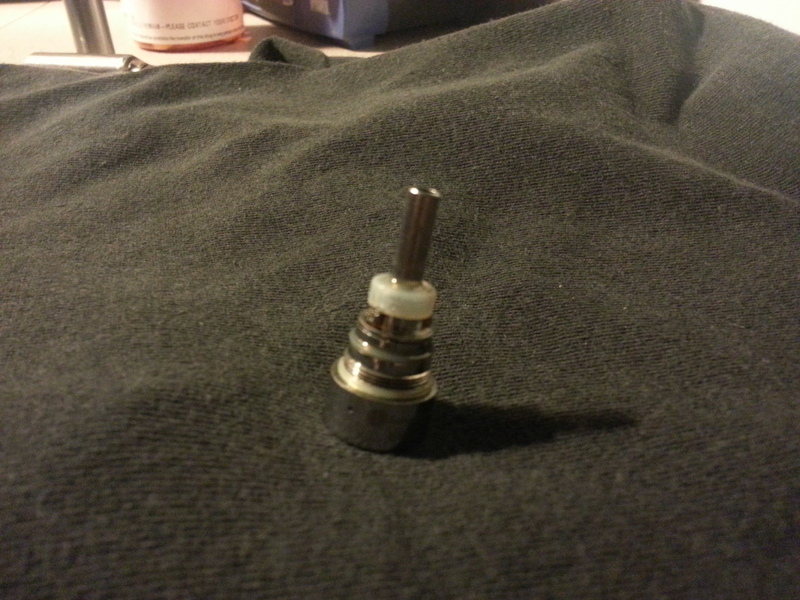 You will want a 1.8ohm type don’t get any less. 2.5ohms work fine my package came with 5 of them. We recently went and bought new E-Cigs. Went with the Kangertech E-Smart E-cig it’s a smaller form factor. The E-Smart can be purchased at Innevape in 2 pack choice of colors for $40 comes with 2-E-Smart E-cigs,1-charger, Choice of 1- 5ml bottle of E-Liquid. A 5ml bottle costs $8 separately and can last from 1 week to a week and a half again depends on your smoking habit. We like the E-Smart best it doesn’t require a weekly cartomizer replacement and it hits better than the EVOD. I should say the E-Smart keeps a steady hit constant through out battery life. 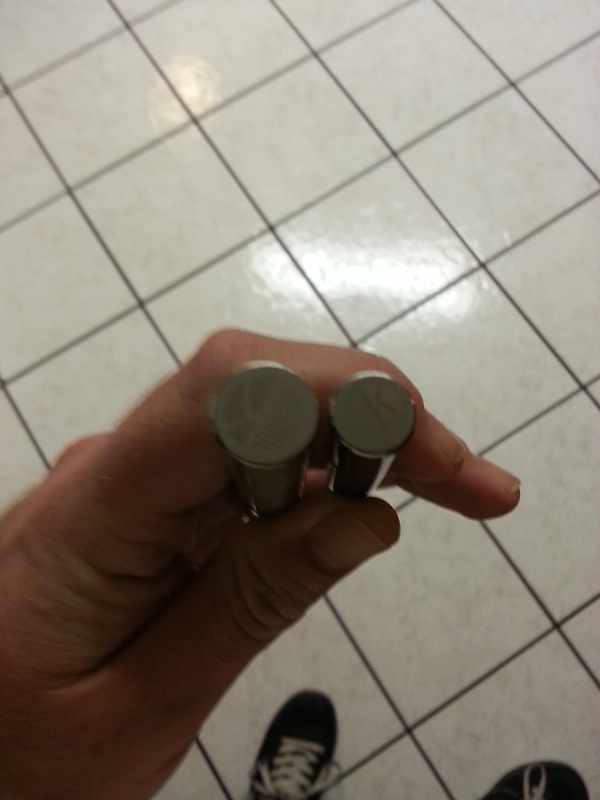 The EVOD has 5-6 solid hits as the battery and cartomizer get used the weaker the hits get through out the charge. We have been getting our liquid from Innevape and purchased our E-Smarts from there as well. All their liquid is made in USA and in a Laboratory. Their cost is like the rest but they also offer discounts if you follow them on Facebook ,Twitter or Youtube. I’ve tried a few different liquids and so far Innevape is the BEST! UPDATE as of 01/03/2014 still not smoking and I am down to 12mg of nicotine. I’m very pleased I did slip up on Xmas day was drinking and smoked a cig but I won’t ever again Soooo Nasty! !